Crème Magistral Hair Balm is rated 4.5 out of 5 by 8. Apply Créme Magistrale to washed and towel-dried hair. Massage onto lengths and ends, leave-in, blowdry and style as desired. It can also be applied to dry hair after styling as a finishing touch. 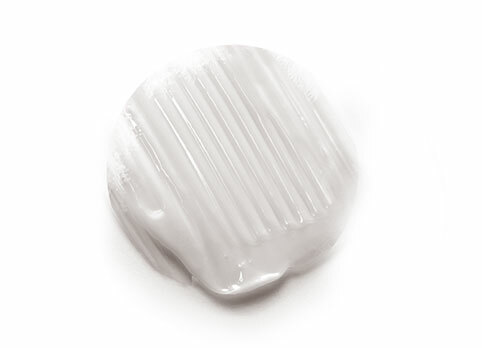 Creamy leave-in balm immediately melts into hair to smooth, soften and add shine. Rated 5 out of 5 by Beautiful hair from Wonderful on dry hair This cream has changed my hair, well actually the whole Nutritive line. I haven’t used this on wet hair yet, but it works wonders on dry hair. I wash my hair ever 3-4 days and I need something to keep my hair from looking dry and a bit unruly in between. I use this at night before putting on my satin hair scarf and my hair is soft and shiny the next morning. It even works wonders on my hair hair extensions. Bringing them back from dry lifeless straw. For reference I am a woman of color with relaxed, color treated hair. Rated 1 out of 5 by Shelly215 from Left my natural & relaxed hair dry & dusty looking I bought this based on another reviewer with relaxed hair. My hair typically looks very dry. Normally, at a salon, when the stylist is done they will look at my hair confused as to why it looks so dry. The only thing that fixes this is to apply oil & sit me under the dryer with a plastic cap/saran wrap for maybe 10 mins. I washed & conditioned my hair using the related products, then applied this. Only thing I can think of is maybe I applied too much. Either way, just want to warn others with similar hair as mine. Maybe my hair just doesn't like leave in silicones. My virgin natural hair potion is low porosity, 4c. My relaxed ends have high porosity. Rated 5 out of 5 by Sarah19 from Can’t live without this I love this product. I use it on my hair both wet and dry. It smells amazing, and makes my hair so soft and when used on dry hair (small amount) it tames all flyaways, frizzyness and adds luster. I feel like my hair is healthier with it when used wet- before styling and easier to comb as well. Rated 5 out of 5 by Mellie51 from Best EVER! I purchased this about a month ago. I was very hesitant when I first ordered. The very first time I used it, I was amazed! I have been searching for a product that delivers what it says it will do for years, and this is it! I am in LOVE with this and the entire product line. My hair has never been this soft and manageable! I am forever a fan and loyal Kerastase customer! Rated 5 out of 5 by Sparklerd35 from Best leave in This is the best leave in for a relaxed hair girl I truly glad I made this purchase I truly wish they don't discontinue this line highly concentrated so you don't have to use a lot lovely with the nectar thermique love love love it! I wish the Salons could better help relaxed clients like me because the discipline is nice but left my hair dry and I'm glad I didn't invest a lot just the travel sizes and had to give it away. Rated 5 out of 5 by Holly623 from Amazing! I have been using Oleo Relax for a few years but went out on a limb and bought this! I have very long,thick, wavy hair! I have had so many people ask what I have done to my hair because it looks so soft and shiny!! LOVE!! Rated 5 out of 5 by Mahogany from Great leave in conditioner My stylist gave me this as a leave in conditioner while styling my very thick curly hair straight. This stuff is so great because it makes your hair so soft and detangles and makes it easier to style. I have lots of breakage from having my hair bleached very light platinum blonde. This stuff makes my hair soft and minimizes the very damaged hair.